Follow your competitors online activity. 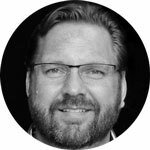 Learn more about: 1) 29 B2B growth hacks to reach a more targeted audience, 2) How to use online forms, and a few tips on how to boost results, 3) Lead generation techniques to use in your email marketing, and 4) How to use Quora to increase the exposure of your business. Business Quote of the Day: To Inspire You! Work with an influencer, they’re friends for a day. Help someone become influential and they’re a friend for life. 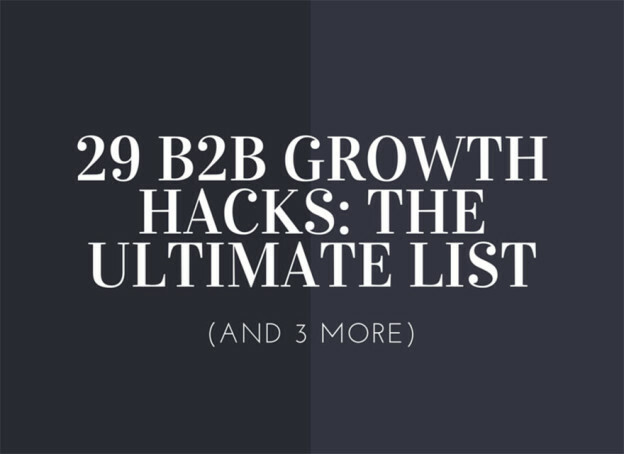 29 B2B Growth Hacks – The ULTIMATE List – While traditional B2B marketing focus was on getting to the ‘right’ people by reaching them directly, growth hacking lets you reach a much wider audience and dramatically increase your chances to get a champion. The main difference between standard to B2B growth hacking is that on B2B you usually need to get to a more targeted audience. Here are 29 ways to it. 22 out of them don’t require any budget. 17 of them will take you less than 1 day. Boost Online Lead Gen With These 4 Secrets – The impact that online forms have on marketers’ jobs, and their businesses, is essential to find success. They are indispensable. But yet, marketers don’t spend much time talking about them, and how to improve their effectiveness. This article deals with the topic, and provides a few tips on how to boost results. 5 Easy Lead Conversion Tips For Your Email Marketing Program – If you’re not using email marketing, you could be missing out on huge potential for your company or blog. More than that, if you aren’t using email to convert readers into paying customers — you are doing it wrong. Discover more on the topic here. How to Use Quora to Increase Your Business Exposure – If you want to build visibility for your business, you must find the right channels. Have you considered Q&A site Quora? Quora is a useful place to share knowledge about your company and industry. In this article you’ll learn how to successfully use Quora to gain exposure and manage your brand. This entry was posted in Customer Acquisition Strategies and tagged B2B, business, email marketing, growth hacks, lead-generation on April 15, 2015 by Davide Di Prossimo. Davide handles the majority of the articles and columns appearing on Follow's blog. When he isn't writing, Davide is perhaps running, reading one of his books, enjoying his free time with friends and family, or watching inspiring movies. If you wish to befriend Davide, just send Italian buffalo mozzarella ... that's his weakness. DID YOU KNOW? WE ALLOW NATIVE ADS (SUCH AS BLOG POSTS) ON OUR NEWSLETTER. CLICK THE AVAILABLE DATES BELOW TO DISCOVER MORE!